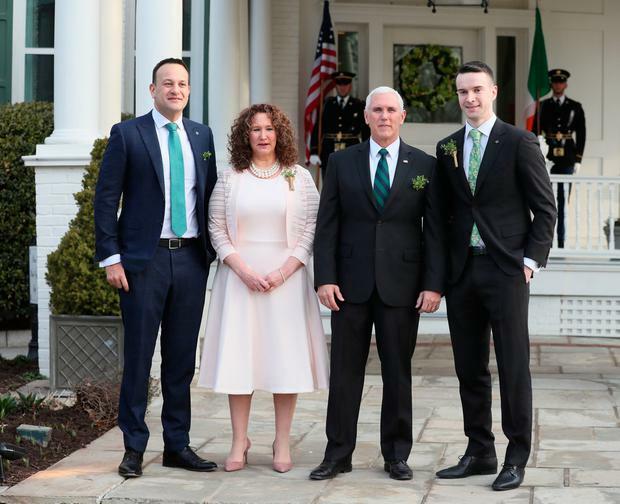 Sir - Donal Lynch does a benign 'lynching' job on Leo Varadkar's penchant for relentless self-promotion, fickle capriciousness and blatant 'U-turnisms' en route to and throughout his tenure as Taoiseach ('Leo's the man to preach to Pence', (Sunday Independent, March 17). In Lynch's wide-ranging swathe of 'recalls' from yesteryear, the "young fogey" Varadkar would not appear to have covered himself in much steadfast consistency or principled dependability. Whichever way the electoral wind blows, it could well be the Taoiseach's more than variable yardstick of opinionated utterance, sporadic gusts of changeable direction regularly featuring. The recent 'shamrocked' dalliance with US Vice-President Mike Pence offers a clear vista of how one can bury the 'true-self' ideals in deference to current realpolitik in the age of social media and the 24/7 immediacies of global media coverage. Biting the bitter bullet of contradictory personal interfaces is just one of those oxymoronic gestures of 'goodwill' to be endured by all wannabe politicos who, more than any paltry principle, want to cling to protracted power while posting positive ratings at home and abroad. Such a pattern of behaviour "opens the Taoiseach to charges of hypocrisy", as Donal Lynch suggests. But, hey, who needs authenticity when the paparazzi are around to boost and bolster the 'likeability' quotient, to say nothing of electoral windfalls and attendant power attenuation? Donal Lynch should be highly commended for illuminating the galling 'gallows' of political validity at play. A valuable lynching by any standards, but will the 'drop' come soon enough? Sir - I write to you as a concerned citizen and business person at the tone of debate in our country on Brexit. I believe our Government, far from leading and healing, has actively stirred emotions for short-term political gains. Sir - It is recently noted that Ruth Dudley Edwards is departing the Sunday Independent. Many will heave a sigh of relief that Ruth's anti-Republican column will no longer be available, so her enemies will be deprived of the weekly opportunity to spit on her image. However, an alternative point of view is welcome, notwithstanding that such opinions rendered by colourful and entertaining but essentially uncreative scribblers, such as herself and Eoghan Harris, promote points of view dangerously detrimental to the future of this country, such as the notion the backstop should be scrapped to facilitate the ruinous positions of the DUP and the fanatical Brexiteers of Rees-Mogg and his ilk, who don't give a fig for Ireland, north or south. Sir - I don't understand An Taoiseach's concern about Ireland and Northern Ireland existing in different time zones. Any cursory look at our recent mutual history leaves little doubt but that we are already existing in different time zones. Furthermore, as we have also been existing in different universes for quite some time, the chances of a single time zone is as remote as the House of Commons' capacity for any positive vote on Brexit or the DUP agreeing to a border poll. Sir - I never thought I would see the day I would be grateful for the men and women who make up our Government. I have a new appreciation for Leo, Micheal, Mary Lou and all the others in Dail Eireann. Looking across the water has confirmed the grass is not always greener. Sir - Liam Collins's excellent obituary (Sunday Independent, March 24) of Richie Ryan makes no mention of his able auditorship at the UCD Debating Society, the L&H, where hundreds of us students saw - and heard - him in action on Saturday nights!